In a lot of places around the world people don't have access to some of the luxuries we take for granted: electricity, internet, running water, or even regular supplies of food and clean water. Add to that the unbearable heat of summer temperatures in places like India and half the population is out of commission for most the afternoon. But their situation is not without hope! More than 28,000 people live in a tiny area called Daulatdia in Bangladesh. They are cramped in small huts with no running water and temperatures outside and inside can rise above 113º F.
Something had to be done, so they've come up with the first electricity-free air conditioning. 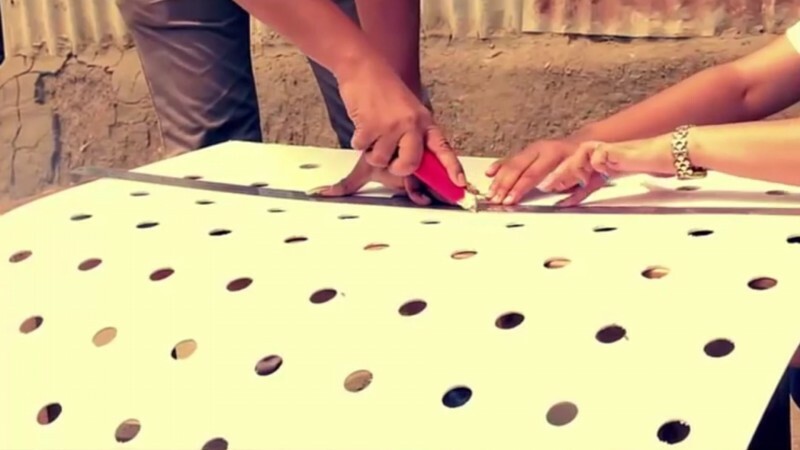 It's made of one piece of sturdy cardboard and a series of recycled plastic bottles. The bottoms and necks of the bottles are cut away and then stuck into a series of holes cut into the board. 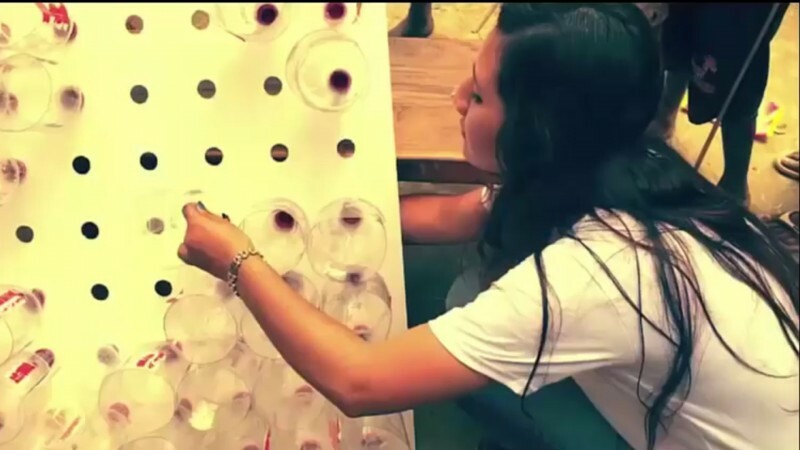 Once all of the bottles are in place, the board is placed in front of a door or window. The cooling effects are immediate. Hot air enters the bottles from the outside and then sends cooler air out of the thinner neck. The principle is similar to the effect when you exhale into your hand with an open mouth or with pursed lips. Feel the difference for yourself! This simple solution can cool an indoor space by more than 10º F. What a relief for the people who experience extreme temperatures day in, day out. 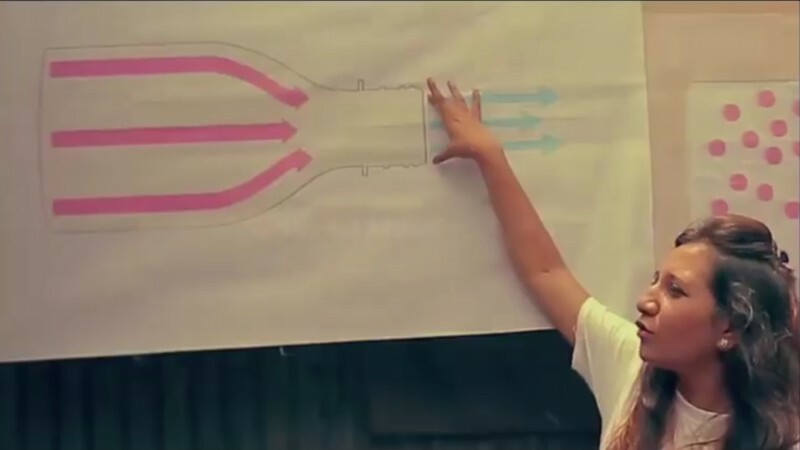 Countless villages have already started using the simplest air conditioning in the world. 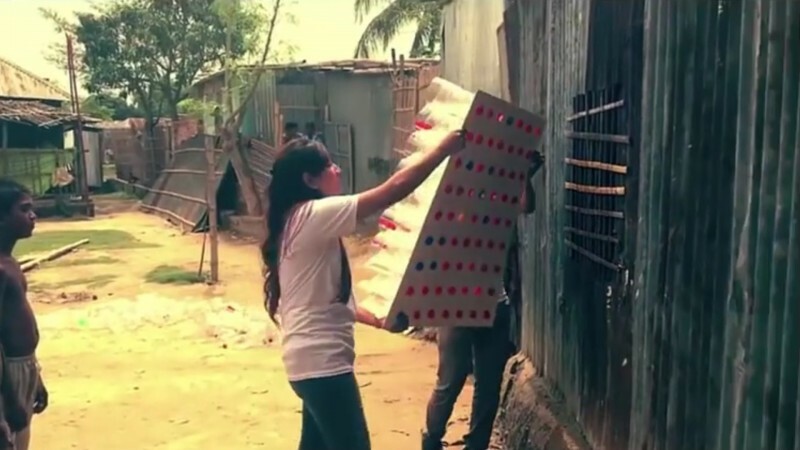 Not only does this system bring a breath of fresh air into overheated huts, it's a great way to encourage collecting old plastic bottles from the streets and recycling them.